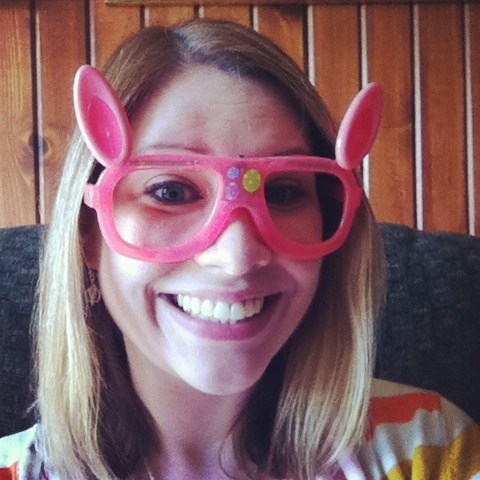 I’m in a weird head space right now, y’all. I’ve had “Copacabana” playing in my head all day and decided that “Oubliette Gazette” would be a great newsletter name for people trapped in secret sunken trap door prisons. Until, that is, I was reminded that people in oubliettes don’t really get the luxury of newsletters, so it’s just a wasted rhyme. I lay the blame in part on the fact that I wasn’t able to read before bed last night. My Kindle’s battery was kaput and the cord isn’t long enough to stretch from the wall to my bed. And YES, I know I could have read a PAPER book instead, but then I’d need a book light (which also necessitates batteries) and I’d be reading an extra book which would throw off my whole mojo. I normally have one eyeball book and one audio book going at any given time, so throwing an additional title in there would just be chaos. Let’s just talk about one of my recent reads, shall we? 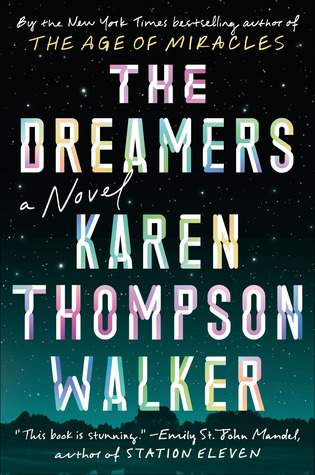 The Dreamers by Karen Thompson Walker was a near perfect read for me. I was expecting to enjoy this book, because I really liked her first novel, The Age of Miracles (review), but this book was another level. The Dreamers is set in a remote California town. A girl at the local college falls asleep and is unable to be woken by her roommate, the paramedics, or the doctors at the hospital. When other students begin falling into this strange sleep, it sets off a panic in the town. Plague books are VERY much in my wheelhouse, so it’s no surprise that the plot of this book appealed to me. Remember in the 90s when that movie Outbreak came out with the monkey and the yellow suits and Renee Russo being smarter than everyone else? This book had a similar feel, but the writing was so lovely and melodic that while I felt all the dread, it also had a dreamy quality. Which, hello, GENIUS, because the book is literally about a sleep plague. Illustrate dorm life: I think Karen Thompson Walker must have lived in a dorm very much like the ones I lived in, because the vibe was pitch perfect. The descriptions of the communal bathrooms alone- my word- I had the most vivid recollections of the University Hall 4B bathrooms circa 2001. Granted, this book wasn’t set in 2001, but there have got to be dorms somewhere that haven’t upgraded to those swanky suites. That somewhere is apparently the fictional Santa Lora College. And probably lots of other places. I don’t know. I’m, like, medium old. I didn’t get a cell phone until I was a sophomore in college and when I did it only worked outside the dorm because reception was bad . If I wanted to talk indoors I had to use a landline and a calling card. GET OFF MY LAWN. Illustrate new parenthood: One of the families living in Santa Lora during this plague are the parents of a newborn baby. Walker mentioned in the forward of the book that she’d written the novel during the time her two children were born and I felt every smidgen of that reality. Being a new-ish parent myself, the intensity of those sleepless nights and constant self doubt hit home. There’s a scene where the family tries to leave town only to be met by a quarantine border that just about broke me. The second guessing and the terror of what would become of the baby? I was paranoid as heck about Sammers getting exposed to whooping cough or the flu during the period when he was too young to be vaccinated. A friggin mystery plague with a new baby? INTENSE. Realistic depiction of disease spread and containment. As much as I dig a zombie apocalypse story, I think it’s pretty unrealistic that the contagion would be able to spread universally unchecked, you know? Especially since the majority of zombie stories involve slow, shuffling zombies. Quarantines would certainly be put in place, and those slowpokes would be rounded up quickly. Plus, it’s a contagion spread primarily by biting, so I have a hard time believing in the plausibility of such rapid spread. It’s probably one of the reasons I can stomach zombie novels and other monster fare whereas I have a hard time with horror stories about, like, evil humans. But I digress. The point I’m trying to make is that I found the description of the way this disease spread very believable. Walker wisely chose to liken the spread pattern to that of the measels, which, frankly, has made me extra grateful for SCIENCE because measels is WAY more contagious than I ever realized. YAY VACCINES! Anyway. Quarantines were put into place early. Even when there were gaps in the quarantine (because there’s always going to be someone who sneaks out) exposure was contained. Like, seriously, good job, fictional government. I’m proud of you. There was plenty of chaos WITHIN the cordoned-off town to keep the drama going- no need to devastate the entire planet (which is good, because Walker did THAT in The Age of Miracles and it gave me actual nightmares.) The threat is still kind of there, though, because viruses are tricky bastards. No IMMINENT DOOM, at least. Have I convinced you to read this book yet? I’m running out of exclamation points! GO FORTH AND READ!